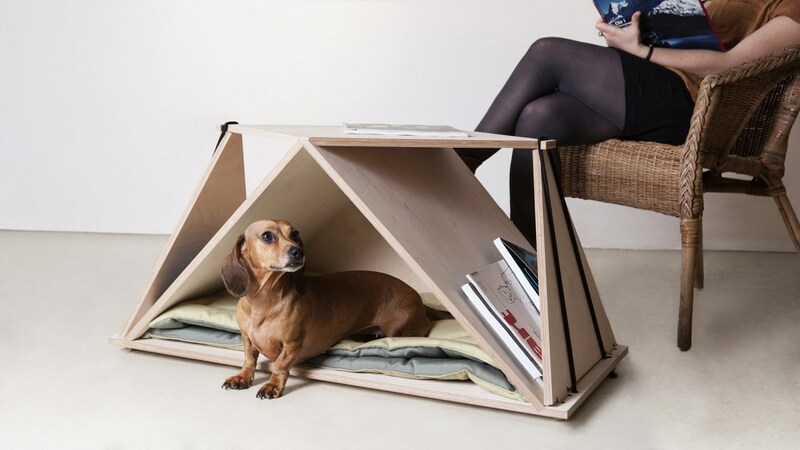 Known for their highly creative wooden micro-architecture, French design studio Fabbricabois applied the same sense of ingenuity to an origami-inspired coffee table that doubles as a pet shelter. 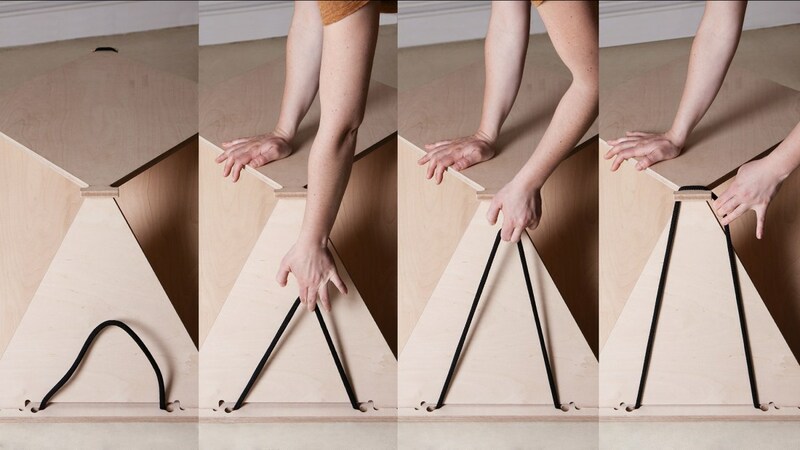 ‘Nidin’ consists of seven geometric pieces of wood that fit together using rubber bands, eliminating the need for glue or other fasteners. 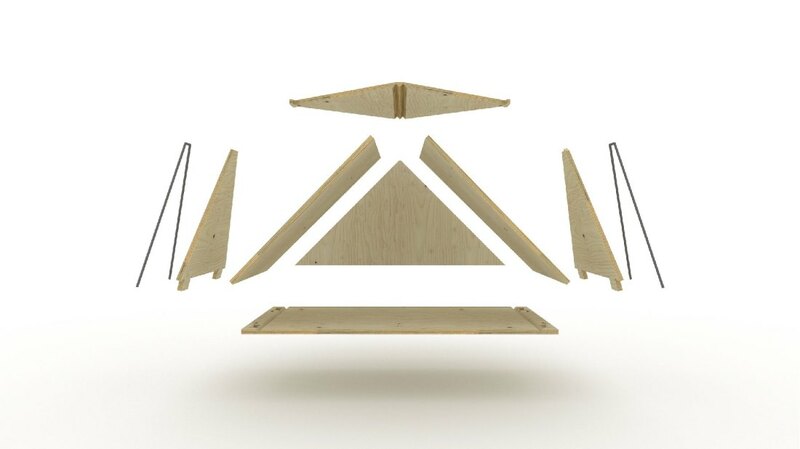 The table is delivered in a flat-pack kit, as the designers believe that the assembly process is part of the fun. 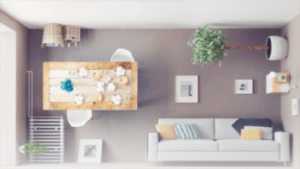 It only takes a few minutes to fit the pieces together and secure them with the bands, creating a flat diamond-shaped table surface with a niche underneath. 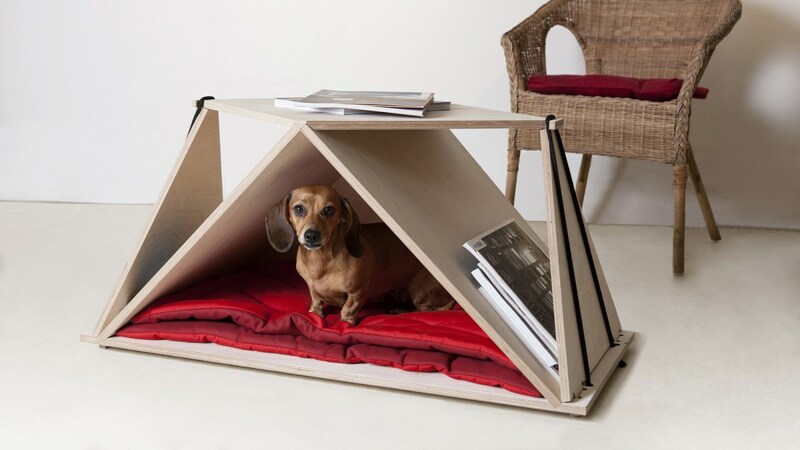 That triangular niche of this adorable modern pet bed is lined with a soft, washable cushion, and just large enough for a cat or a small dog. Two angled spaces on the side also offer storage for items like magazines and remote controls.